Werewolf terror game sprites for your horror & halloween game projects. With the werewolf as main character, hunting down the innocent girls. Beware for the police, they'll shoot any werewolf in their sight. 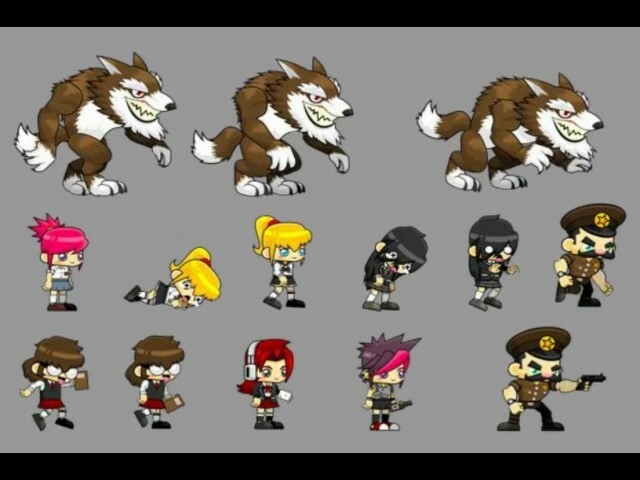 The sprite package suitable for 2D side scrolling game especially for these genres: action, adventure, platformer, horror, and halloween. Spriter Project .SCML file included, along with the body parts images in .PNG format. The image is in pretty high resolutions. The body parts made with CorelDraw. Adobe Illustrator .AI and .EPS files also included.